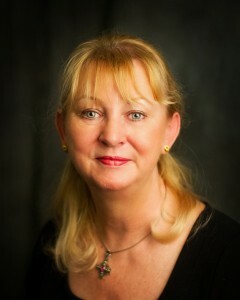 Sheila Campbell, our President, has 30 years of experience in scientific, medical and technology related fields. She has worked for such notable companies as Kodak Canada and GE Medical (Canada). Subsequently, she applied her extensive knowledge in the medical field to consulting for health care professionals. In 2002, after managing a project for a company offering secure data transmission to health care providers, Sheila founded 2Ascribe. She saw an opportunity to provide both ‘low tech’ (telephone dictation) and ‘high tech’ (WEBscribe – our new online client portal) medical transcription options to physicians, clinics, hospital groups and other healthcare professionals. Sheila started 2Ascribe with two principles that she holds dear, that they provide excellent quality and customer service to their clients, and that the company maintain a low carbon footprint and be environmentally vigilant. She ensures that all systems are developed and monitored, to provide high-quality medical transcription with rapid turnaround. Hero Rats: working in Africa towards curbing the spread of TB by training rats to evaluate blood samples, more rapidly, accurately and at a lower cost than traditional laboratory testing. Hero Rats can also be trained to detect land mines, and are the most efficient and cost effect way to clear land mines. Clients who refer other healthcare professionals to 2Ascribe are thanked with a Charity Gift Card from CanadaHelps, which allows them to donate to the charity of their choice. In the past year, clients have made donations to such charities as children’s mental health programs, cancer research and Daily Bread Food Bank in Toronto. David Carroll, our VP Finance & Technology, has been an integral part of the 2Ascribe team since 2006. 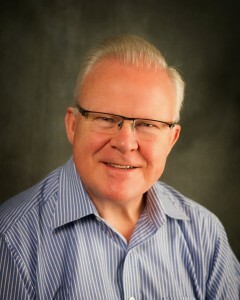 In 2014, he became a partner in the firm. David is a UK-qualified chartered accountant and gained his initial experience with a firm of chartered accountants and with a major multinational in their treasury function. Since returning to Canada in 1980, David has provided senior leadership in the areas of finance, IT and operations in various industries including data processing, transportation and distribution. Most recently he was the Associate Executive Director of the Daily Bread Food Bank in Toronto, where he oversaw significant re-engineering of its finance, systems and distribution operations. He brings real business depth to 2Ascribe, where his mandate encompasses finance, operating procedures and IT. He also supports the development of functionality for 2Ascribe’s clients, such as our timesaving AUTOfax service. David has a long-standing interest in ethics and was a founding director of the Canadian Centre for Ethics & Corporate Policy. 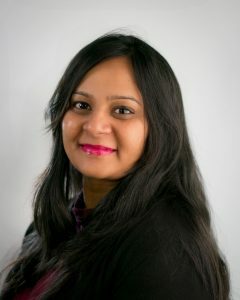 Himani Shah has recently joined the 2Ascribe team as Transcription Supervisor. 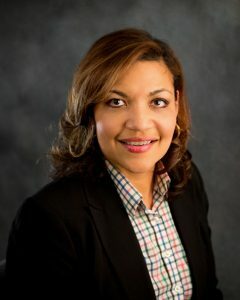 She brings with her 12 years of experience in the medical transcription industry, including having the AHDI (American Health Data Institute, formerly the American Association of Medical Transcriptionists) certification of RHDS (Registered Health Data Specialist, which replaces the former Certified and Advanced Medical Transcriptionist designations). Transcription Supervisor is a new position with 2Ascribe, with the goal of improving our already very good quality and turnaround time. She also provides support to our great team of transcriptionists and editors, as well as being an integral part of our team. Himani brings years of experience, professionalism and attention to detail. With her valued input, we will continue to improve our processes and client experience. She enjoys ensuring our clients receive excellent quality transcription, customer service and rapid turnaround, to ensure we support your goals of providing excellence in patient care. 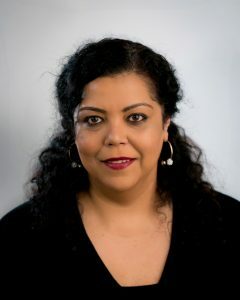 Deepa Vijh, Business Coordinator, brings years of customer service experience and an in-depth understanding of business administration to 2Ascribe. Responsible for day to day customer care, Deepa ensures our clients get the best customer service – whether ensuring all jobs are returned on time or helping clients with technical questions. She is quite resourceful and perseveres until she finds a solution to help a customer. She welcomes your phone calls and emails – helping our clients is the reason she enjoys coming into work. Deepa loves the challenges of her work as every day is different! Before starting as our Business Coordinator, she spent six years as a District Coordinator in retail, helping with business administration and client relationships. She’s also new clients’ administrative contact as she helps to get them setup to dictate and use our client portal, WEBscribe. Velkis Morales joined the 2Ascribe team in 2017 as Account Manager. She’s passionate about ensuring that our services are a fit for our prospective clients. She builds strong relationships with prospects and clients. With her analytical and problem-solving skills, she works with the team to provide feedback from clients and potential clients on where we can work on evaluating and developing our services to best meet their needs. A consummate bilingual (English – Spanish) business professional, Velkis has a 20 year track record of managing operations to high standards of excellence in the financial industry. She is customer-focused and performance-oriented. She also has a wicked sense of humour. All of our medical transcriptionists are extensively experienced in multiple medical specialties. Clients are assigned to work pools based on their specialties, and matched with our transcription groups expertise to ensure excellent quality and consistency. Many are also qualified CMTs (Certified Medial Transcriptionists by the Association for Healthcare Documentation Integrity in the United States). Their expertise includes everything from referring letters from specialists to Independent Medical Legal Reports. They transcribe letters, patient encounters (including formatting them for integration into Electronic Medical Records), record reviews and all other required documentation. Our medical editors are responsible for quality control and consistency. Each editor is assigned particular accounts within their particular specialties, so that they get to know individual dictators and their preferences and idioms. They are chosen based on their medical transcription experience, their command of the English language and their ability to ensure that all documents are formatted to client’s specifications. Many of our transcriptionists and editors have been with us for over a decade, an important aspect of our maintaining quality control for our clients.